Fire chiefs have urged the courts to ‘throw the book at’ anyone found guilty of attacks over the Bonfire Night period. 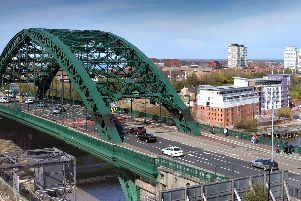 There were eight attacks on firefighters in Tyne and Wear between November 1 – 6, although no staff were injured as a result. This included an ambush in Southwick, Sunderland, which saw crews pelted with fireworks and other missiles after being lured to Greystone Place, opposite Cato Street, where a car had been driven into a bonfire. Speaking at Monday’s meeting of the Tyne and Wear Fire and Rescue Authority, bosses called for justice. “Eight attacks on firefighters is eight too many,” said Nick Forbes, the authority’s vice chairman and leader of Newcastle City Council. “What kind of sick individuals think firefighters are fair game in this society? A meeting took place this week. “It makes me feel livid that people think this is a fine or legitimate thing to do. “I hope that the police will catch all culprits and throw the book at them and make an example. Despite the high profile attacks, such as in Southwick, the number of attacks over the period was actually lower than last year (2017), down by about a quarter from 11 to eight. Coun Forbes also highlighted the extra burden being placed on firefighters from cuts to local authority budgets. According to a report prepared for the authority, last year (2017) council officers and firefighters 665 ‘combustibles’ and other materials that could be used for illegal bonfires. But this year (2018) the figure was down to 549 – a decrease of 116. Coun Forbes also called for tighter rules on the sale of fireworks and potentially even banning personal sale altogether, limiting displays to just officially organised events. He added: “Because of a number of irresponsible people I think we should be looking for much tighter regulations of the sale of fireworks and I think there should only be licensed, legitimate displays that people can attend. However, Chief Fire Officer Chris Lowther cautioned such a move could have unintended consequences. Rather than preventing the public buying fireworks at all, he claimed it could instead promote the sale of illegal fireworks on the blackmarket, which are potentially much more dangerous. He said: “I would like to see organised displays and not black market fireworks because they can be extremely dangerous.